Please join us Wednesday, January 17, 10-12 for an open house social! 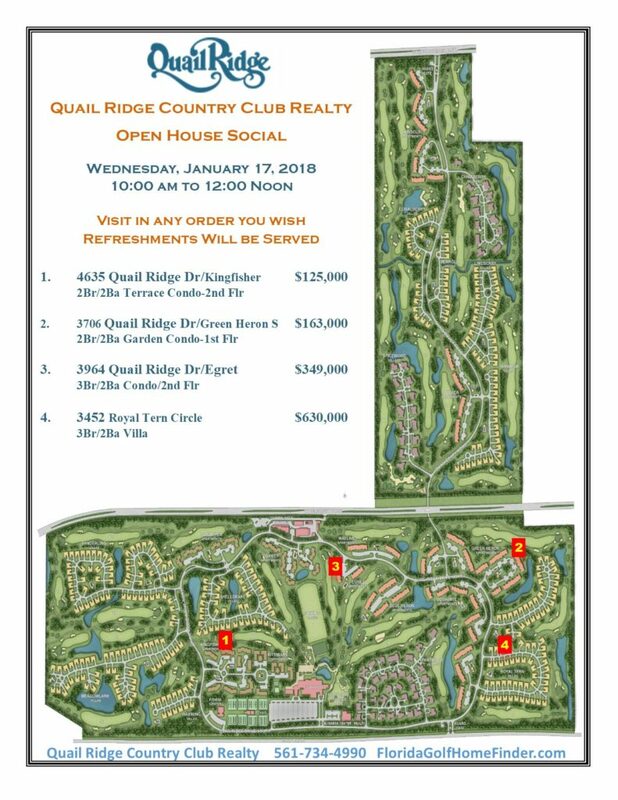 We will have 4 properties open for viewing, so bring a friend and enjoy a fun morning. Maps are available in the real estate office, business center & clubhouse reception and security gates. « Open House Social November 16!